I don’t know if I have ever explained my weird schedule to you properly. If I have, just cruise over the next few sentences. Last summer it leaned more towards 4 weeks, and they were fairly luxurious weeks at that. 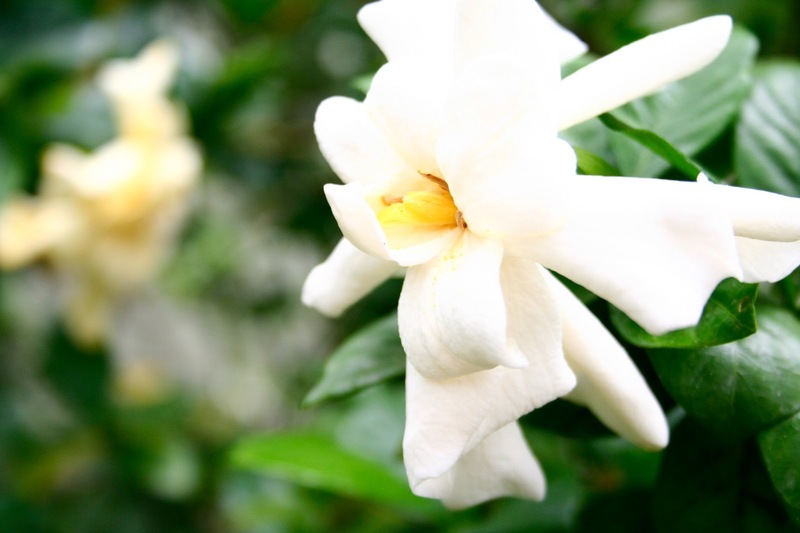 We went on vacation, I laid around in the pool, drank in the scent of the gardenias in the backyard (like the one above) and lots of cold fruity drinks. I slept in, I read, I did a whole lot of nothing. It was lovely. 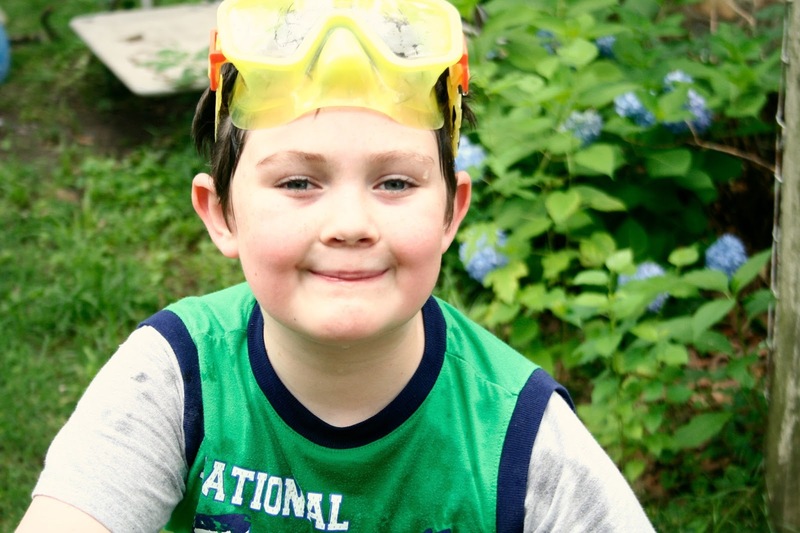 This summer my break was more like 3 weeks, with the Illinois trip and Camp as the bookends. In between these two trips I helped my in-laws get read to move and tried to catch up on projects around the house that have been piling up since last summer ( if you are new here, let me give you a quick recap. The past 18 months of my life included: finishing edits for the book, finishing the photo shoots, putting our house up for sale, almost selling the house, not selling the house, taking the house off the market, breaking my foot, releasing the book, promoting the book. Oh, and working full time. Are you tired? Cause I was.) I am not quite finished with everything I wanted to get done but I have put a serious dent in my goal of de-piling my house. Bins have been (finally!) put in the attic, closets have been cleaned, I can see floor in my bedroom again. Between the trips and the projects, my break has been eventful and productive, but not exactly the stuff of relaxing vacations. Today I will ease back into work. In two weeks the kids go back to school. Next week they will be at Camp Meme, and we will be in full countdown-till-the-first-day mode at work. I know that our little family will still get to enjoy summer through Labor Day thanks to the longer days and warmer temperatures, but for most part our summer break is winding down. 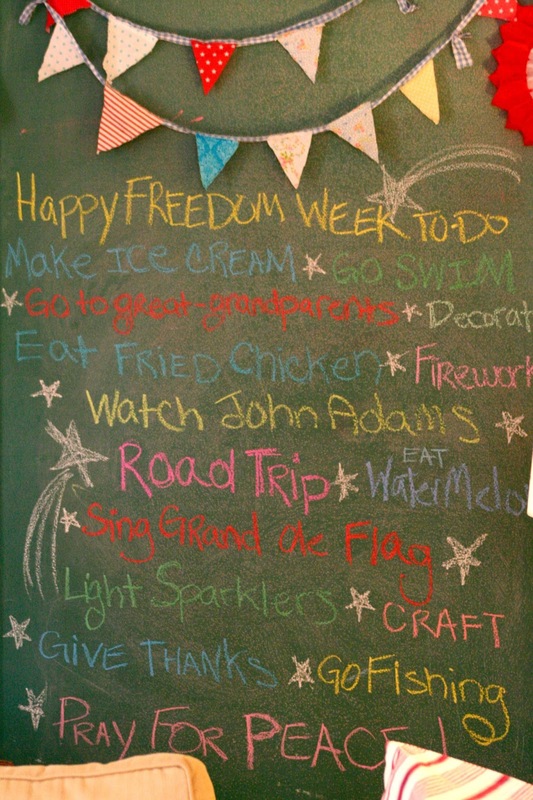 So instead of a Summer Bucket List, I made us a list for this 4th of July week- a list full of activities we can do in the evenings, on the holiday itself or over the weekend following- in hopes that we can squeeze all the summer vacay fun possible out of it. Yesterday we marked Eat Fried Chicken and Decorate (more on that soon…) off the list. I am hoping that tonight we can start on Watch John Adams and Make Ice Cream. 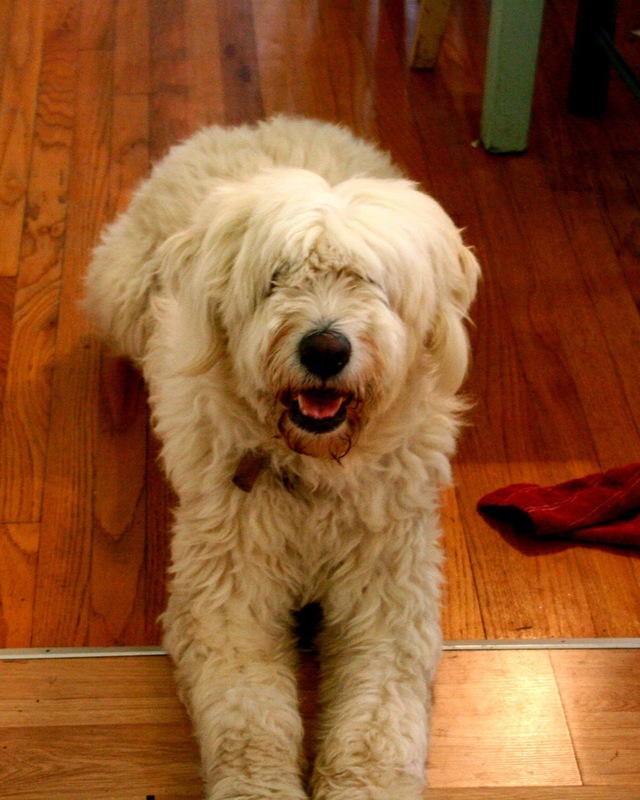 In other news, we have FINALLY figured out what sort of sheep dog Maizy is – she is a Hungarian Sheep Dog, also known as a Komondor! Traditionally Komondor’s hair grows floor length and becomes chorded (or dreadlocked) naturally. I am not sure we want to go that route with our girl and am wondering if there are any Komondor owners out there that have advice on hair care? I sure do love her fuzzy! Oh my goodness, yes, just reading your list makes me feel tired! Maybe some of your energy will rub off and inspire me to get out of my pajamas! BTW, love your book! Love your summer list…I hope you accomplish it all. Eating fried chicken is a VERY good start! !